If there are two islands that better represent the Greek island experience than Mykonos and Santorini, we have yet to be introduced to them. 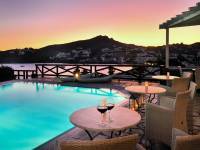 Combining the stunning beaches and cosmopolitan life of Mykonos and the dramatic and impossibly romantic charm of Santorini, this package is ideal for lovers and romantics alike. 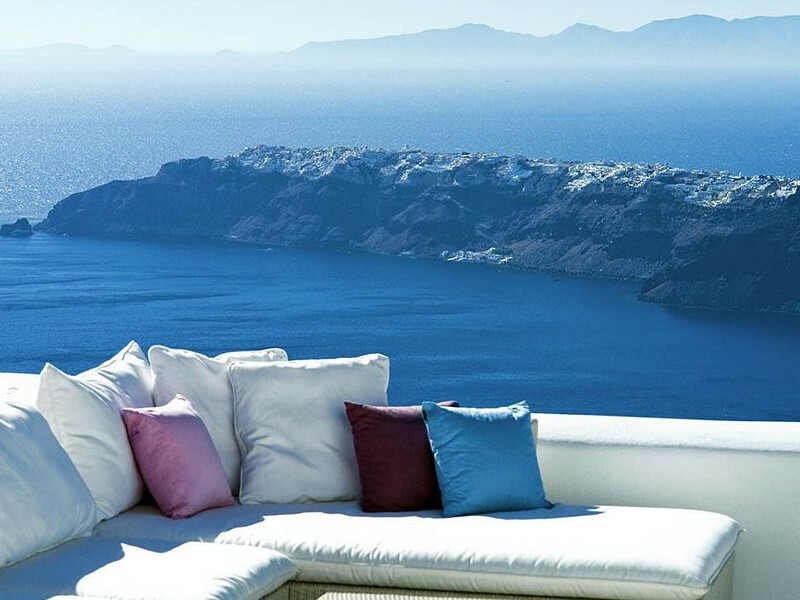 This holiday is ideally suited for travel between the months of June and October, seeing that the primary focus is to casually and independently experience the magic of the Aegean Sea and the Mediterranean sun. The beaches of Mykonos are some of the finest in the Aegean and Santorini will amaze you with its breathtaking scenery, jaw-dropping architecture and inspiring sunsets. Description: Welcome to Greece! Upon your arrival at Athens International Airport you will transfer and embark your plane for a short 40-minute flight to Mykonos. 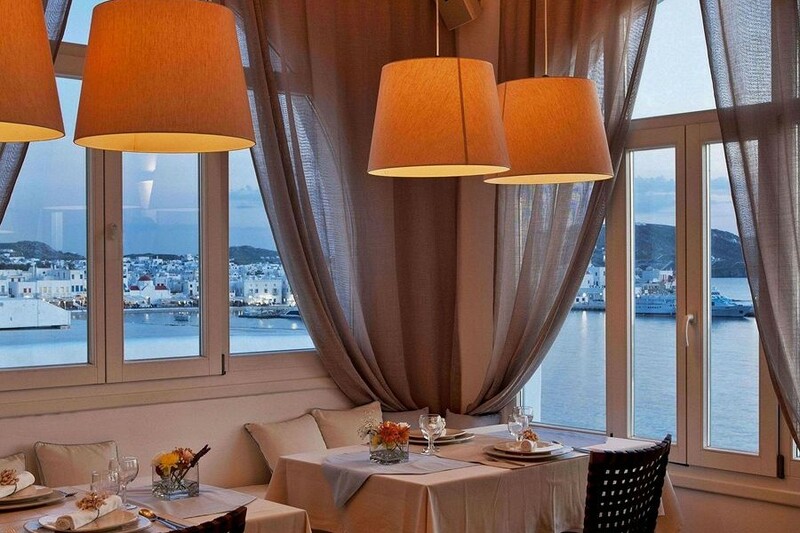 Upon arrival in Mykonos you will be greeted and assisted to your select Mykonos hotel. 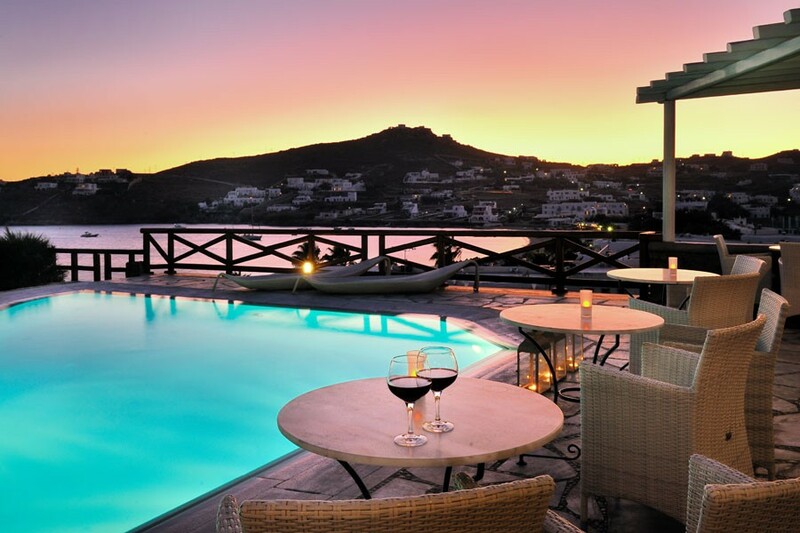 Overnight in Mykonos. Description: This morning you will make your way to the old port of Mykonos where you will board your motorboat to the ancient island of Delos. 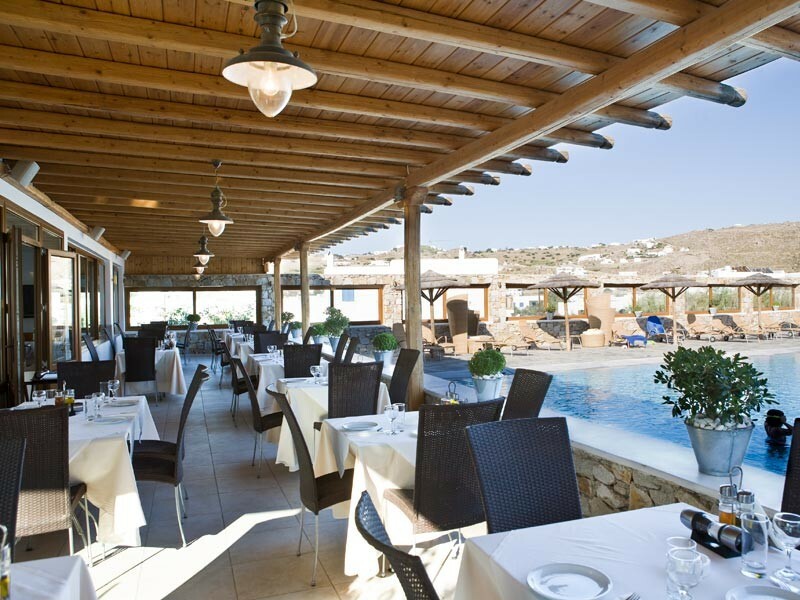 Heaped with legends and history, Ancient Delos promises not to disappoint. You will have some free time to explore this arid island before an afternoon sail back to Mykonos island where you are scheduled to arrive at 1600 hrs. 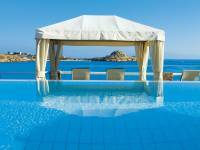 Overnight in Mykonos at your select hotel. Description: Now that you are starting to get into the Greek island mode, today should be spent taking in the world famous Aegean Sea and sun. There are a number of world-class golden sand beaches to choose from, including Psarou, Ornos, Lia, Elia and the infamous Paradise and Super Paradise. This island is where you will be able to find some of the finest seafront tavernas in the Mediterranean, where you will revel in the pleasure of dining al-fresco on the beach. Overnight in Mykonos. Description: As Mykonos has started to seep into your soul, we would highly recommend an evening outing to one of the finest seafront towns in Greece. The main town of Chora is world famous for offering a sophisticated and cosmopolitan experience unlike any other. The delicious combination of superb restaurants, unique lounges and bars, artist studios and fashion stores present an irresistible list of entertainment options for the evening. No visit to Chora is complete without a long, meandering walk through the alleys of the village. 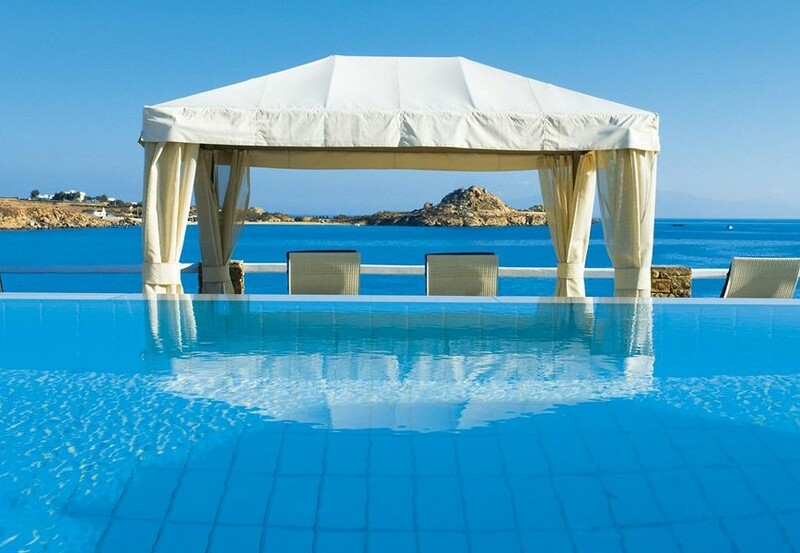 Overnight in Mykonos at your select hotel. Description: After breakfast today you will be greeted and assisted to the port of Mykonos where you will board your fast ferry to Santorini. Upon arrival in Santorini you will be greeted on the pier and assisted to your select Santorini hotel. 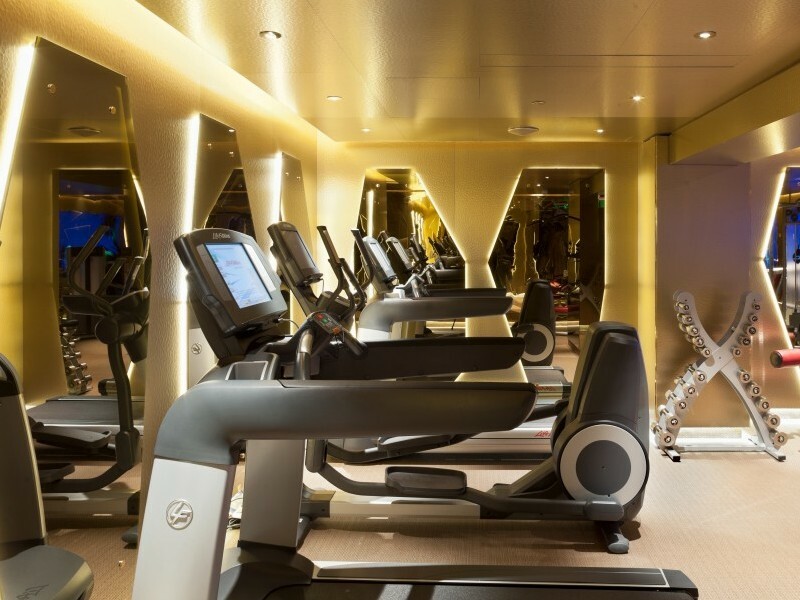 The remainder of the day is to be spent at your leisure. 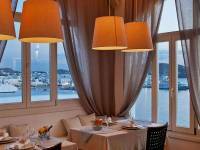 Overnight in Santorini at your select hotel. Description: Your first full day in Santorini will be sure to leave you with a lifetime of incredible memories and photographs. One of the best ways to take in Santorini is to walk the pedestrian only footpath that clings to the edge of the cliff-tops of the island. The path joins the villages of Fira, Firostefani, Imerovigli and continues over 10 kilometres to the artist colony of Oia at the edge of the island. Enjoy a dinner in one of the seafront fish tavernas at Ammoudi, one of the finest places to view the world famous sunsets of Santorini. Overnight in Santorini. Description: Though Santorini is a relatively small island, it is full of wonderful surprises and impressive quality. 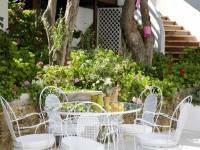 The artist colony and village of Oia is one of the quaintest settlements of the island. Here you will find some of the finest art and crafts in Greece along with fabulous quality restaurants and cliff-top lounges. If you are interested in heading to the beach, Santorini has famous black and red sand beaches that are easily accessible by taxi or local bus. Of course, we strongly encourage you to grab a chair on your balcony and soak in the views and colors of this incredibly unique volcanic holiday paradise. Overnight in Santorini. Description: This afternoon you will be picked up from your hotel to embark on a half-day sightseeing tour of the island. Some highlights will include a visit to the island’s oldest church at Mesa Gonia, the views from Pyrgos, and a wine tasting overlooking the caldera before it is off to Santorini’s star, Oia. Perched on a clifftop, this whitewashed village serves up amazing views over the caldera and is famous for its sunsets. Evening return to your hotel after sunset or you can opt to stay in Oia for dinner and drinks. 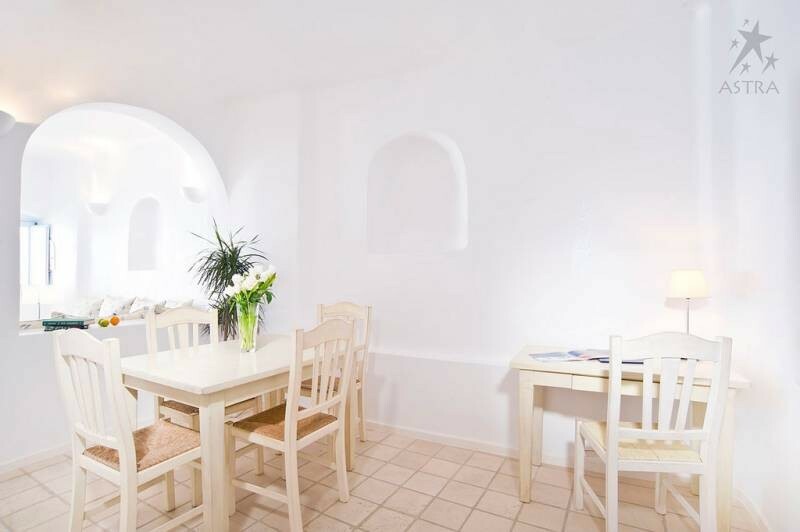 Overnight in Santorini at your select hotel. 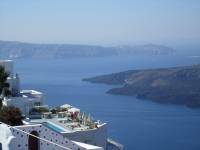 Description: This being your final day in Santorini, we would recommend you decompress and spend a good portion of it taking in the beautiful surroundings and amenities of your select hotel. 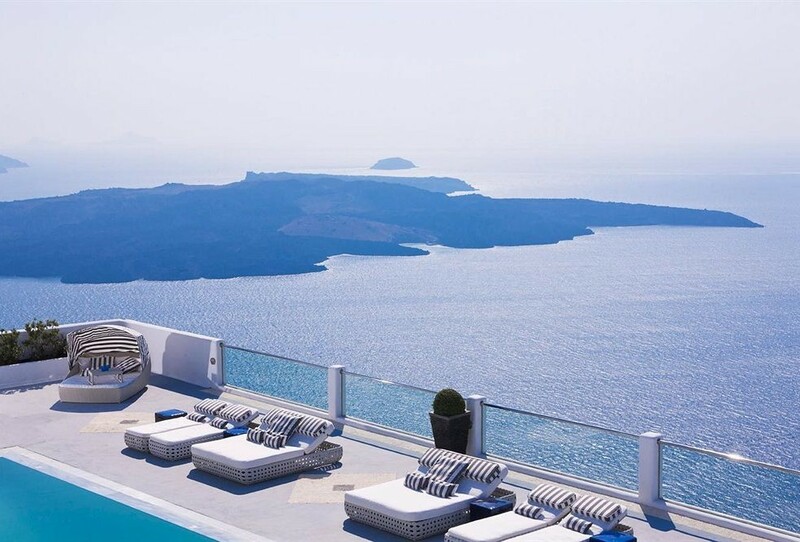 We have selected your Santorini hotel based on its ability to provide you with an utterly unique and satisfying Greek island experience. 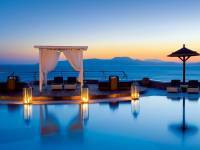 Overnight in Santorini at your select hotel. 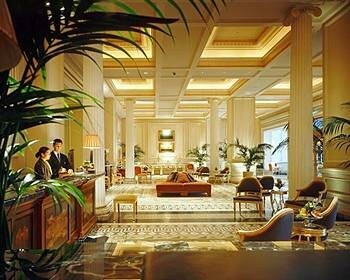 Description: After breakfast and a relaxing morning you will be greeted at your hotel by your select driver and assisted to Santorini airport where you will board your departure flight to Athens. 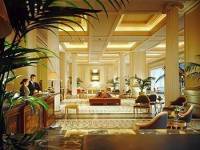 Upon arrival in Athens you will be greeted and assisted to your select Athens hotel. 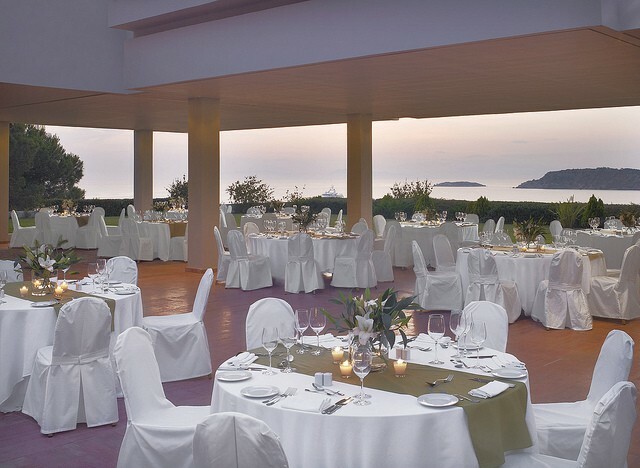 Overnight in Athens at your select hotel. Description: Today you will experience the two most important attractions of Athens on an Acropolis, City & Acropolis Museum Walking Tour. The Acropolis of Athens is one of the most famous archaeological sites in all of Greece. The new Acropolis Museum is the home to the masterpieces of the Acropolis, where they are displayed in stunning surroundings bathed in natural light. Overnight in Athens at your select hotel. Description: Spend your last day in Greece enjoying one of Europe's most underrated cities. A visit to the Monastiraki open air market, exploring the National Archaeological Museum or simply wandering the streets of Athens looking for last minute purchases will provide you with wonderful memories of Greece's capital city. 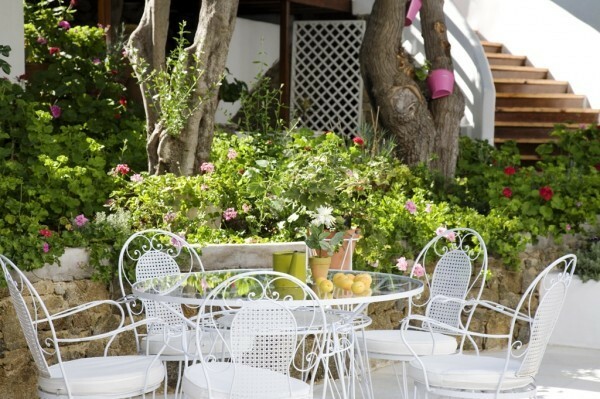 For your last dinner in Greece we recommend you find a table at one of the many incredible tavernas in the Plaka district and enjoy a lazy, delicious meal. Overnight in Athens.